Endeavour famously carried James Cook on his first great voyage, visiting Pacific islands unknown to European geography, charting for the first time New Zealand and the eastern coast of Australia and almost foundering on the Great Barrier Reef. 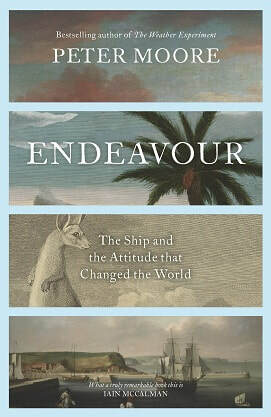 But Endeavour was a ship with many lives. She was there at the Wilkes Riots in London in 1768. During the battles for control of New York in 1776 she witnessed the bloody birth of the United States of America. As well as carrying botanists, a Polynesian priest and the remains of the first kangaroo to arrive in Britain, she transported Newcastle coal and Hessian soldiers. According to Charles Darwin, she helped Cook add a hemisphere to the civilised world. NASA named a space shuttle after her. To others she would be a toxic symbol, responsible for the dispossession of the oldest continuous human society and the disruption of many others.